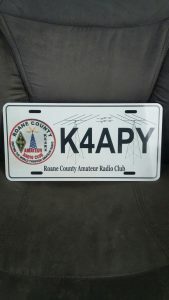 Phil KE4LSH said we were ordering the RCARC license plates again with the Ham Radio Operator callsign. I have a link to my plate as an example. Anyone who wants a plate can prepay their order at the RCARC meeting in August 2018 or mail in a check to RCARC, PO Box 1104, Kingston TN. 37763 with a note with the callsign and quantity of plates order. Cost is $10 per plate. Orders will be sent in after the next club meeting if enough folks are interested. Thanks and I hope to see y’all on August 9th, 2018. 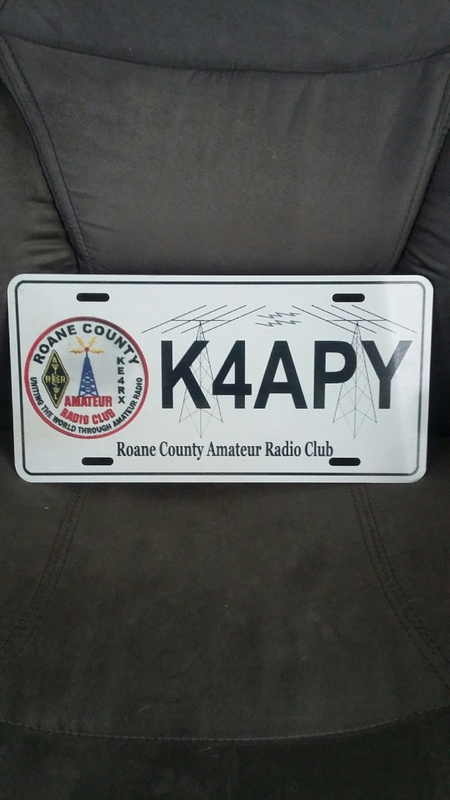 This Thursday July 12th at 7:00 pm is the next monthly meeting of The Roane County Amateur Radio Club so Come on down!! We meet in the Rockwood Community Center, 710 North Chamberlain Ave, Rockwood, TN. 37854 and everyone is welcome. Click Here To Read The June 2018 RCARC Beacon Newsletter! Well its that time of year! Field Day Is upon us!! As usual, RCARC has reserved the pavilion at Southwest Point Park in Kingston, TN. for our Field Day event June 23rd and 24th 2018. The pavilion is just behind the baseball field and is right next to the walking trail so we always have fun, good food and make new friends. We also make a few contacts as well heheh. If you don’t come to anything else , be sure to come to Field Day and participate with us! Also, we have our June Meeting this coming Thursday June 14th @ 7:00 pm in the Rockwood Community Center at 710 North Chamberlain Ave. Rockwood, TN. Make plans to come to the meeting. Meet Some new faces and we will have fresh coffee in the pot! We will be making plans for Field Day too! so I hope to see everyone there and bring a friend! Click Here To Read The May 2018 RCARC Beacon Newsletter! Hello Everyone! I’m running a bit later than usual with the newsletter. Things got busy for me fast when the weather warmed up. Don’t forget The Roane County Amateur Radio Club meeting this coming Thursday May 10th at 7:00 pm in the Rockwood Community Center, 710 North Chamberlain Ave, Rockwood, TN. 37854. Come on down and be part of our group. We have Field Day coming up in June on the 23rd and 24th at Fort Southwest Point in Kingston. Field Day is always fun and there is always something interesting going on. I hope we can see everyone Thursday at the meeting. Spring is in the Air!!! Well maybe. The Groundhog is having one last laugh it seems with the weather, but we are close! Community Center, 710 North Chamberlain Ave. Rockwood, TN. I hope we see everyone there. month and got a few positive responses, so Starting this week on the 147.015 (pl 110.9) repeater we will have 2 un-official ragchew nets. Wednesday @ 20:00 hours and Sunday @ 14:00 hours. Hopefully we will have several folks show up and you can come and go as you want. No format and very informal. The first person to show up, just call out CQ for the Ragchew net. I think this will seed more activity on the repeater and get folks back into conversation instead of just checking in. Come on and give it a try. Could be fun and maybe even addictive!! Hope to see you all on April 12th!! The Roane County Amateur Radio Club on Facebook. March 2018 Meeting and SKYWARN Training! Hello Everyone! Don’t forget this coming Thursday March 8th at 7:00 pm in the Rockwood Community Center, 710 North Chamberlain Ave, Rockwood, TN. 37854 RCARC has The National Weather Service from Morristown TN presenting SKYWARN Training. If the room is too full, we may have to move downstairs to the Gym. Last years SKYWARN was a big success and Jeremy Buckles was excellent in his presentation. Plan to be there and be sure to bring a friend. Our February 2018 meeting is This Thursday 2/8/18 at 7:00 pm in the Rockwood Community Center 710 North Chamberlain Ave, Rockwood, TN. 37854. Be sure to come early and bring a friend. More discussion on the tower situation and what we plan to do. RCARC has been asked to help with The Whitestone Run on Sunday 2/18/18. Communications will be simplex, so if you are able to help, contact Cody K4ZXT ceanderson3@gmail.com for more information. March 8th 2018 is the SKYWARN training, so mark your calendar to attend. It will be at the Rockwood Community Center the same as our meeting location. I hope we see everyone there!! Click Here To Read The January 2018 RCARC Beacon Newsletter!! As many of you may already be aware of the tower failure on Mount Roosevelt, here are photos taken by Cliff and Cody. The fix will not be overnight and will challenge our resources and treasury. Fortunately, we have had several folks from other clubs offer to help and we should be able to rebuild. Our next meeting is on January 11th at 7:00 PM in the Rockwood Community Center, 710 N. Chamberlain Ave. Rockwood TN. We have important items on the agenda and we need everyone there please. Thanks and See ya next Thursday 1/11/18 at 7:00 PM. Thursday December 14th 2017 at 6:30 pm RCARC will have our annual Christmas Dinner and election of officers for 2018. We need folks to run for office. If you would like to serve as an officer , please consider putting your name in the hat for an office. Qualifications are on the www.ke4rx.org website in the bylaws. Also RCARC will provide Ham for the dinner and condiments. Members are encouraged to bring a covered dish to go along with the main course. A vegetable or desert. Send e-mail to Jim k4apy@yahoo.com to sign up for what you want to bring. Now that the KE4RX 147.015 (PL 110.9) antenna is back on the tower antenna and operation is normal, The Monday night Net will be held on KE4RX repeater at 8:00 pm. Be sure to make a note of the change. The 147.120 repeater currently is also down for upgrades and maintenance. it should be returned soon.